Bulimia can be a sign of a disordered spiritual connection with your own self. It is a disconnection that I experienced and when I got help with bulimia I learned my inability to find peace within myself caused a lot of my eating problems. When I finally learned how to cure my bulimia I realized that my disordered eating was symptomatic of this inner disconnect; a spiritual vacuum within me. Could it be the same for your obsessive compulsive eating disorder? Do you feel connected to your inner self (or God)? Stresses in life are inevitable. People can behave badly, things seem to go wrong out of sheer spite and anger and frustrations are natural fallouts. I have spoken about the importance of developing coping mechanisms as solutions for eating disorders and among those mechanisms a strong spiritual practice is invaluable. There is no one answer to the question What is Spirituality? For some of us a spiritual practice includes prayer to whatever we call God. Find peace in the practice of meditation, yoga or just taking deep breaths because it allows us to connect to ourselves and ultimately helps us find peace in times of stress. For others, it may be something as simple as the contemplation of a beautiful sunset or waves crashing on the beach where there is great peace in nature. Maybe you prefer being active and enjoy running, hiking, swimming, cycling, or gardening. Any or all of these can help fill our spiritual well and overcome a binge eating disorder. I’ve practiced many of these and they have proved to significantly to help with bulimia. A spiritual practice can build your self-love and self-esteem. Whatever the path you choose for your own spiritual journey, the aim should be a sense of self knowledge and better self-love. I encourage you to look at your spirituality as a way of realizing your self worth that is independent of things, possessions, and even the opinions of others. When we are stripped of all our outer trappings – wealth, possessions, position, status or at least when we start to perceive the core of ourselves in the absence of these external trappings, that is when we realize our intrinsic self worth. What will help with bulimia recovery is to identify a spiritual practice that works for YOU. 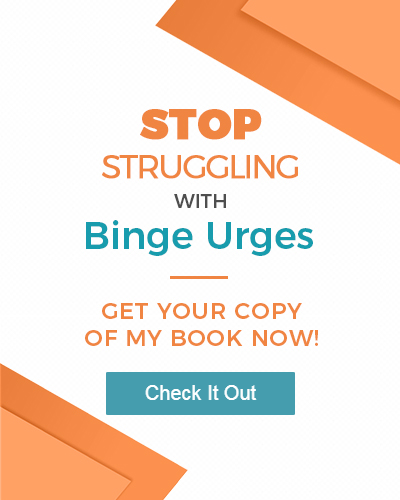 The establishment of a healthy spiritual connection with yourself will get at the heart of your binge eating disorder. Connecting to your inner self will make you healthier, happier and ultimately help you be at peace with yourself.